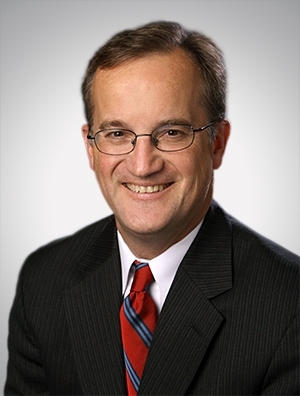 Paul Bauer, Ph.D., is the co-chair of Quarles & Brady's Professional Liability Litigation Subgroup. Mr. Bauer specializes in defending financial professionals like actuaries, accountants, and trustees against malpractice claims in cases involving complex financial issues, including actuarial valuations of large public and private pension funds; compliance with ERISA; corporate financial statements and disclosures; and the management of trust investments. Mr. Bauer also has substantial experience in securities litigation and general commercial litigation. He has trial and appellate experience in state and federal courts nationwide, including in class actions and multidistrict litigation. Defending actuaries against $600 million+ malpractice claim brought by public employee pension fund, regarding the enactment of DROP plan, obtaining favorable settlement after two weeks of jury trial. Defending actuaries against $300 million+ malpractice claims in two separate cases brought by multiemployer union pension funds, regarding enactment of benefit improvements, obtaining complete defense verdicts after trials in both. Defending actuaries against $250 million+ malpractice claim brought by London-based reinsurer of automobile warranty plans, obtaining complete defense verdict after two-week jury trial. Defending actuaries in professional disciplinary proceedings before the Actuarial Board of Counseling and Discipline. Defending a trust company against a multimillion-dollar breach of fiduciary duty claim brought by a beneficiary for allegedly imprudent investing, obtaining summary judgment and recovering defense costs. Defending medical billing company in dispute with radiology practice over accounting and billing practices, obtaining favorable ruling after one-week arbitration hearing. Defending corporations in litigation involving disputes over post-sale accounting "true-ups" under GAAP. Representing hedge funds in multidistrict litigation involving claims of securities fraud / accounting fraud against Fortune 500 companies. Representing an investor in an NASD arbitration against a clearing broker. Defending a broker-dealer in a securities fraud case involving a transfer agent's liability for forged stock certificates. Defending a corporate officer against insider trading charges in an SEC civil enforcement action. Defending a national nonprofit nursing home chain against a class action suit under New Mexico statute limiting the "return on investment" of continuing care providers. Representing a multinational company in lawsuit against its advertising agency for failure to obtain compensatory "makegoods" for poor ratings on media buys. Served as local counsel for a pharmaceutical company in multidistrict antitrust litigation. Served as local counsel for an international insurance company in multidistrict litigation involving claims under pre-WWII Polish insurance policies.